last added – Choose Best Trekking Tour In Nepal And Get Thrilling Experience. 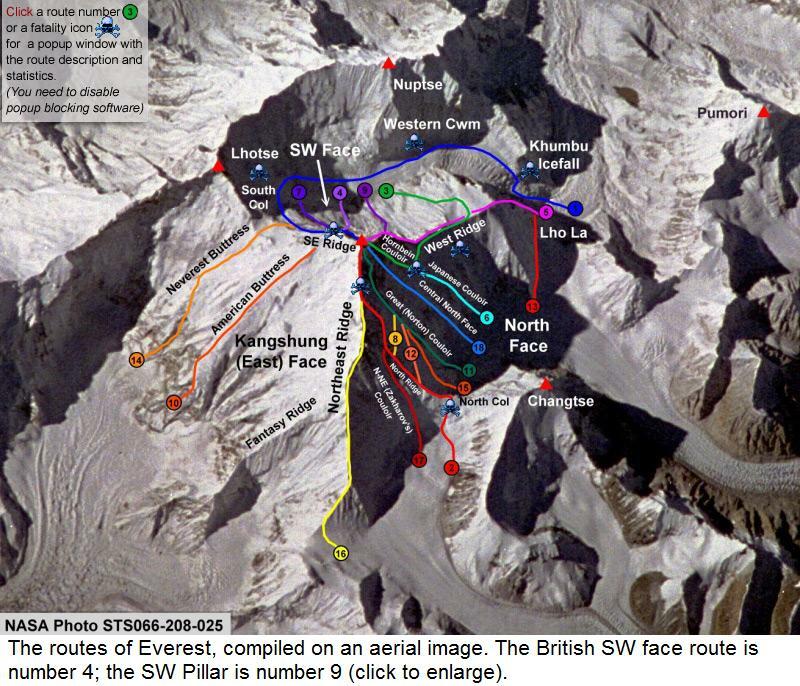 – Overview of Trekking Routes in Nepal. Nepal travel and trekking information. Includes, tour, tourism, trek, hiking, expedition, peak climbing, adventure holidays trips in Nepal. 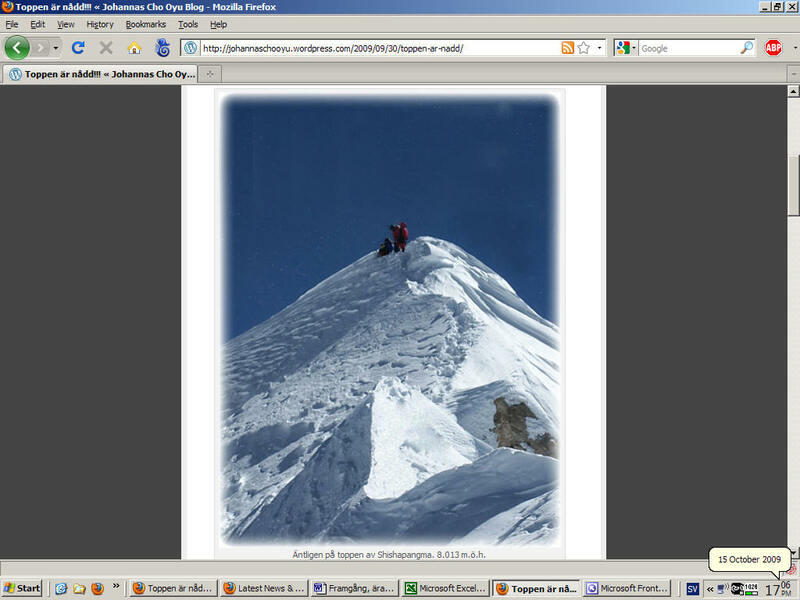 – Nepal Expedition Trips 2009 – Mera Peak OCTOBER 2009. – Nepal Expedition Trips 2009 – Baruntse Expeditions. 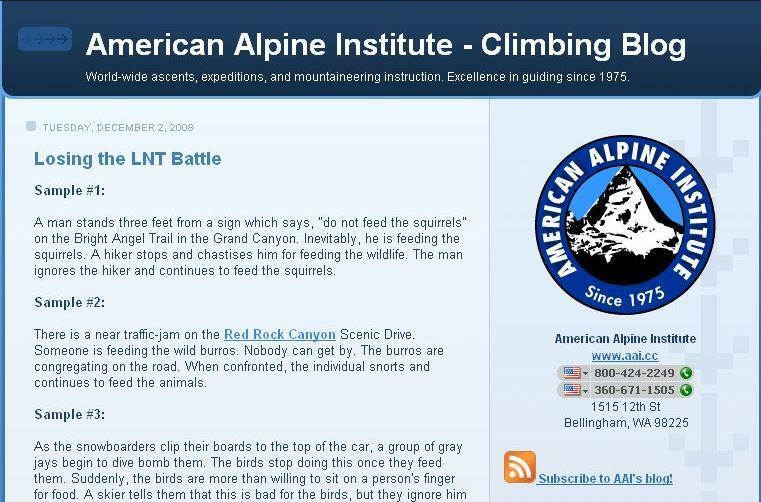 – Nepal Expedition Trips 2009 – Ama Dablam Expedition. – Nepal Expedition Trips 2009 – Island Peak Climbing. – Pumori Expedition – Expedition in Nepal. – Bhutan Treks and Tours : Central Bhutan Tour. – Glimpse of Bhutan with Bhutan Excursion. – Journey across the Kingdom of Bhutan. – Bumthang Heritage Tours – Bhutan Treks. – Tibet Treks and Tours : Tour in Central Tibet. – Everest Khangsung Face Trek – 22 Days Tibet Trek. – Lhasa to Everest Base Camp Tour – 12 Days Tibet Trek. – Nepal Trekking : GOKYO RI – CHOLA PASS – EVEREST BC TREK. – Nepal Trekking – Around Dhaulagiri Trekking. – Nepal Trekking – Annapurna Circuit Trekking. – Nepal Trekking – Mustang Trek (Forbidden Kingdom of Mustang). – Everest Base Camp Trekking. – Everest Base Camp Trekking – Special Nepal Travel and Trekking Packages for 2010. – Annapurna Base Camp Trekking – Special Nepal Travel and Trekking Packages for 2010. – Buddhist Pilgrimage Tour Package – Special Nepal Travel and Trekking Packages for 2010. – Kathmandu Pokhara Tour Package – Special Nepal Travel and Trekking Packages for 2010. – Langtang Gosainkunda Trekking – Special Nepal Travel and Trekking Packages for 2010. – Upper Mustang Trekking – Special Nepal Travel and Trekking Packages for 2010. – Kathmandu Pokhara Chitwan Tour Package – Special Nepal Travel and Trekking Packages for 2010. – Nepal Honeymoon Tour Package. – Nepal Trekking – Langtang Valley Trekking. 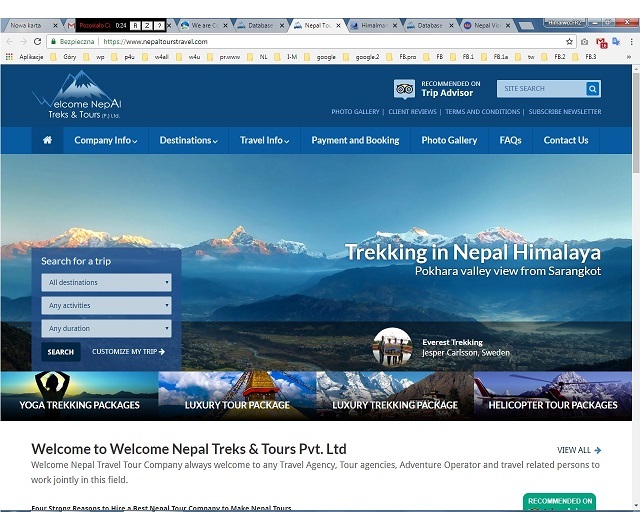 – Nepal Trekking – Ganesh Himal trek. – Nepal Trekking – Tsum Valley Exploration Trek. – Nepal Trekking – Manaslu Trek (17 days). – Nepal Trekking – Annapurna Base Camp. – Nepal Trekking: Everest Panorama- Photographic Tour 2009. – Nepal Trekking BAI Everest Base Camp Trek – Himalaya Spring 2009. – Mountain biking in Nepal : Nagarkot Tour. – Rock climbing in Nepal. 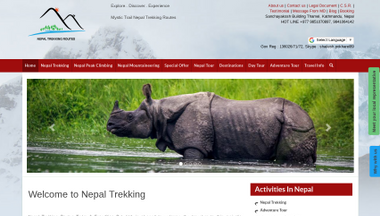 – National Parks of Nepal. – Fantastic world level rafting in Nepali Rivers. – Rafting In Nepal – part 1. – Rafting In Nepal – part 2. – Rafting In Nepal – Sun Koshi River Rafting. Give me a imformation about k2 treking. and which season suitable and its shedule for treking and amount are requir. Join me on 3 peaks trekking in 2012. I love trekking. Join me and create postcards from your own photos. Create your own postcard and send to a frien. Welcome to Samrat Tours & Travels Pvt. Ltd. !!! It is my immense pleasure to introduce our self as a tour, trekking & expedition operator in Nepal, Tibet, Kailash, Bhutan, & India. We are very proud that we have excellent reputation in the market for quality services in very competitive prices. The company has won numerous awards from various organizations for its contributions and achievements. We are members of the following travel associations: IATA (International Air Transport Association) NATTA (Nepal Association of Tours & Travel Agents), UFTAA (Universal Federation of Travel Agent’s Association) TAAN (Trekking Agents Associations of Nepal) and NMA (Nepal Mountaineering Association), ASTA (American Society of Travel Agents), SKAL (Skal international Association of Travel and Tourism Prefessionals), PATA (Pacific Asia Travel Association). We are one of the very few companies that operate its own fleet of vehicles to maintain its high standards of services and employs licensed guides fluent in most of the major languages required for our tours, i.e. English, Chinese, German, Spanish, Italian and French. Our staffs have been handpicked for their dedication and expertise in their respective fields. The company started operations in 1991 with being one of the leading tour operators in the country. It handles well over 3,000 In-bound tourists on average per year from some of the largest out-bound operators from various countries in the world. We also operate tours, trekkings & expeditions into Tibet (including Kailash & Manasarovar), Bhutan, Sikkim, Darjeeling and Ladakh. 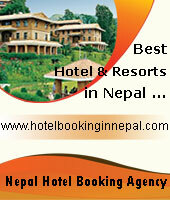 We have one of the largest infrastructures in Nepal in the tourism industry with excellent public relations. We take pride in our reputation for not compromising with our service quality. Samrat Tours & Travels operates pilgrimage tours, cultural tours, special interest tours, adventure tours and trekking along with meetings, incentives, conferences, hotel bookings, domestic and international ticketing. All tours can be tailor made to meet our client’s specific requirements. The company in essence provides complete destination management for our varied clientele. The office of Samrat Tours & Travels is very centrally located in the business and tourist hub of the city at Thamel. We assure our clients the best possible services that can be provided in Nepal due to our experience, expertise and infrastructure. Samrat Tours & Travels Pvt. Ltd.
Samrat Treks & Expeditions Pvt. Ltd.
and videos, this website could definitely be one of the greatest in its field.